Note: This article has been updated with additional information based upon the oral arguments held 11/3/2015. Refer to the end of the article for the updated content. 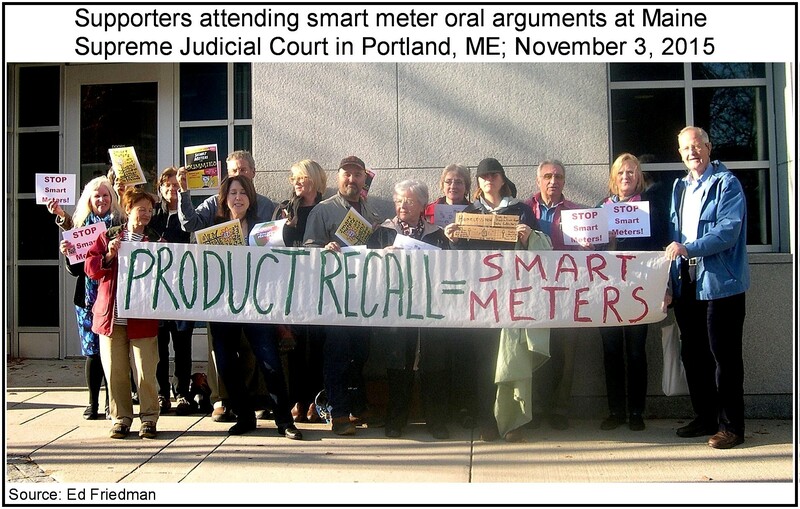 Oral arguments in an ongoing smart meter case will be heard on November 3, 2015, before the Maine Supreme Judicial Court. The arguments are the result of an appeal to a December 2014, decision by the Maine Public Utility Commission (PUC) concluding that smart meters are ‘safe enough’ for the public, reflecting a lower standard than the Court or law allows. In this instance, let it be a case where the Court will help put an end to the “misinformation and bullying” by the utilities and their colluding organizations on the issue of wireless smart meters and their detrimental effects. November 3, 2015; 1:30 p.m.
Ed Friedman and others (collectively “Friedman”) appeal from an order of the Public Utilities Commission declaring that Central Maine Power’s (CMP) “smart meters” are safe. 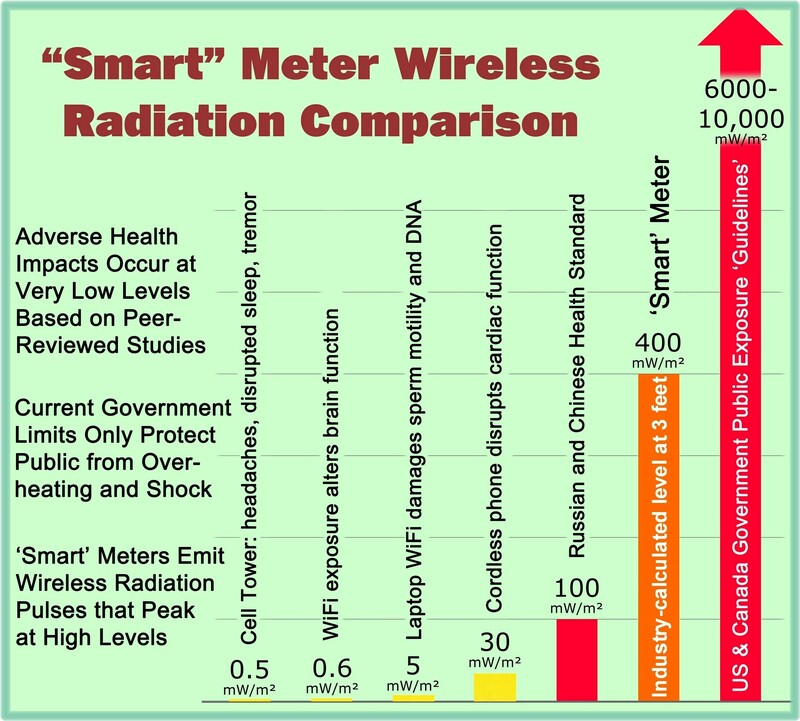 Friedman claims that the smart meters pose a health hazard, especially to people with electro-hypersensitivity (EHS) symptoms and to those with immune deficiencies, heart conditions, pacemakers, other medical implants, or brain tumors. On appeal, Friedman claims that the PUC erred by (1) failing to apply this Court’s directive that it determine the meters pose “no credible threat” to health and safety before approving them; (2) requiring that there be a threat of immediate risk of harm before the device or service could be rejected; (3) placing the burden on Friedman to show that there was a threat to health rather than on CMP to show that there was no credible threat to health; (4) impermissibly limiting the assurance of safety to fewer than all of CMP’s customers; and (5) making the findings in the absence of sufficient evidence to support them. PORTLAND, Maine — The Maine Supreme Judicial Court considered Tuesday whether a court-ordered Public Utilities Commission study about the safety of Central Maine Power Co.’s smart meters at the homes of about 615,000 customers met the legal standard laid out by the justices three years ago. The justices ordered in July 2012 that the PUC determine whether CMP’s smart meters pose “a credible threat to the health and safety” of its customers. The commissioners concluded in December that they do not. Advocates opposed to smart meters appealed the commission’s finding arguing that it came to the wrong conclusion. The state’s high court is not expected to decide whether the meters are safe or not, but whether or not the PUC properly conducted the study and based its conclusion on the evidence presented. Bruce A. McGlauflin, the attorney for Ed Friedman and the Maine Coalition to Stop Smart Meters, argued Tuesday that the PUC’s conclusion was contrary to the evidence presented to commissioners. That evidence included the testimony of 65 witnesses who described the adverse health conditions suffered after exposure to smart meter radiation as well as a reduction in symptoms after avoiding exposure, he said in his brief. PUC attorney Jorden P. McColman argued Tuesday that the commissioners’ conclusion was “based entirely on substantial evidence in the record.” That included “field studies showing compliance with FCC regulations, the fact that no other government organization has found that the low-level [radio frequency] from smart meters is harmful to humans, and that the scientific studies in the record overwhelmingly show that there is no conclusive evidence that low-level RF emissions are harmful to human health,” he said in his brief. There is no timetable under which the justices must issue a decision. Do “smart meters” know too much? Yesterday, the Maine Law Court heard oral arguments in a case pertaining to the health effects of Central Maine Power’s “smart” electric meters. These meters also happen to be detailed information-gathering devices. That’s because each electric-powered device or appliance in your home has a unique electronic “fingerprint,” and its activity is recorded by your meter. The data collected by smart meters is potentially of great interest to law enforcement as well as other third parties – washing machine manufacturers, for example, might like to know who owns an older, energy-inefficient washing machine that is likely to be replaced soon. Law enforcement should not access Maine customers’ smart meter data without a warrant. Any subpoenas or other court orders for a customer’s smart meter data should be presented to the customer him/herself, not to the utility. The customer should have the opportunity to contest the subpoena. Utility customers should decide for themselves whether they wish to have a smart meter installed at their home. A utility should not charge extra fees if a customer decides to opt out of having a smart meter installed at his/her home. A customer’s consent should be required anytime his/her data is being shared, sold, or given to a third-party not performing a primary purpose on behalf of the utility. This entry was posted in Smart Grid, Smart Meters, and RF Emissions and tagged Health Effects, Maine Supreme Court, Smart Meters. Bookmark the permalink.